How many ID cards will you make per year? Security ID badges are utilized by security firms, including the TSA and other government security agencies, as well as by many standard businesses that have secure facilities. A security badge provides visual authorization that an individual can access certain areas and are often color coded to denote the cardholder’s security clearance status. These cards can be integrated with an access control system to provide access to locked areas. 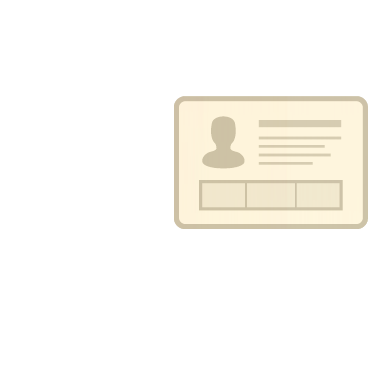 Security cards also act as proof of an employee’s identification, and specific clearances depending on the rank of the person. Companies can take advantage of a broad array of technologies to enhance visual card security, such as tamper-proof features to prevent fraudulent duplication. Examples of tamper-proof features are hologram lamination, printed watermarks or holokote/holopatch overlays which mimic holograms. In addition, many companies print signatures or fingerprints to security cards. Are Security Badges the Right fit for my Organization? For jobs that require a security clearance, a security badge program is highly recommended. Most security firms, large and small, equip their employees with security badges whether it’s to enter a controlled area or to display when on patrol or escorting clients. The visual identification and security components of security badges makes them an ideal fit for virtually any company with security officers or agents. AlphaCard has established itself as a leader in customizing security badge ID systems for clients from all over the globe. If you’re ready to learn more about the benefits of security badges, please call us today for a free consultation. We’ll evaluate your needs and budget to determine the best system for your organization.